This is gonna be one heck of a photo-heavy post, folks. I just can't show off this beauty, from "Canadian artista extraordinaire" Jennlui, without showing you every little bit. Of course, as seen above, the envelope is handmade, and includes but a small note. ("Welcome to the IUOMA" references my fairly recent membership in the International Union of Mail Artists.) We will forgive the multiple-produced (I doubt it's mass-produced, really) nature of the mini-book and the paucity of the personalization of the note, simply because it's so damn groovy. Okay, here's the book! 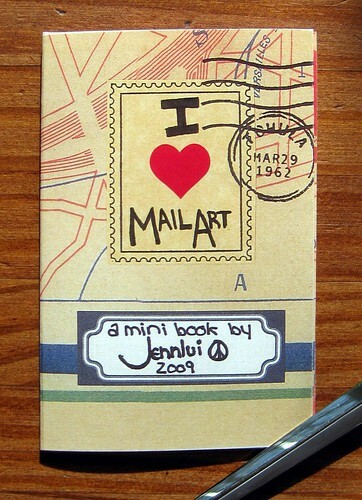 I Heart Mail Art! Hooray! It is a specially folded color photocopy with inserts, a really fabulous construction. I guess it's sorta like a zine that way. Let's turn through every page of this lovely item, shall we? 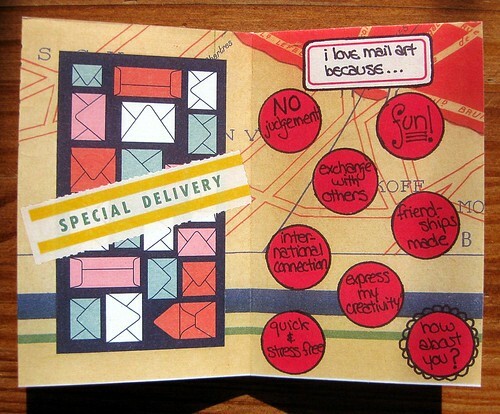 I love mail art because... fill in the polka dots. 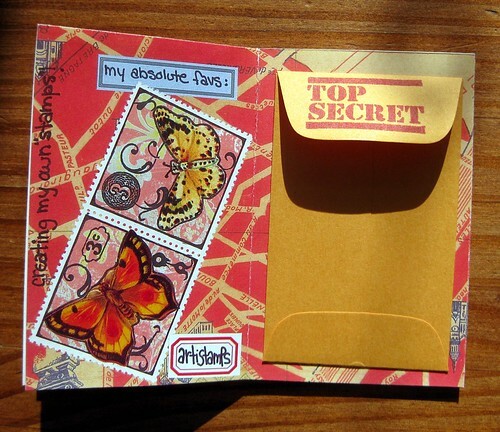 This is especially squee - the little Top Secret envelope included the artistamps shown below. ...and a closer look at the little enclosures in said envelope. 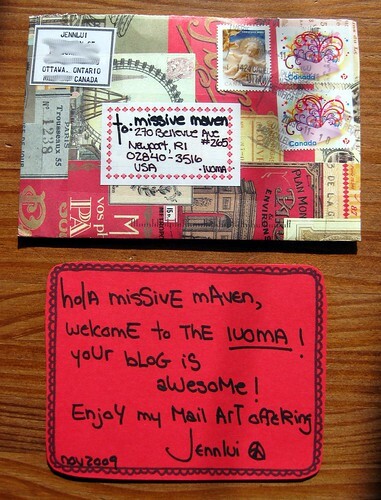 The bottom one is a little business card that references her mail art blog, From the letter love files. The golden rule of mail: send mail to get mail! Finally, here's the back of the booklet, with her address carefully noted. 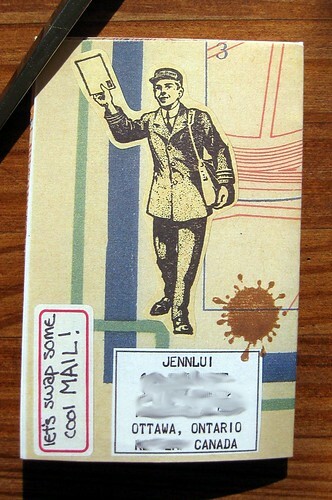 I ADORE this vintage postman, and if he is available as a rubber stamp, I MUST know where to find him. I am really, really coveting that image. So that's the mini-book - wow! It was such a joy. I forgot to photograph how it came in its own little envelope, too. It was like a gift. In my next post, I'll showcase what I sent back! Oh my good God. I am in love. Dude, this person is AWESOME and I am SO writing to her after work tonight. Gahhhhh, this is awesome, definitely a tie with that UK meta-marvelous as the coolest thing I've seen you receive. 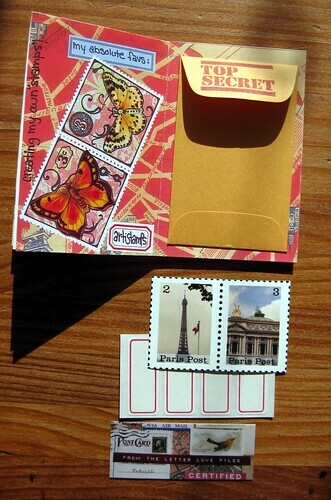 I have never used artistamps, but this just makes me all the more interested. Cannot wait to see what you sent back! I do love the golden rule to SEND MAIL TO GET MAIL. I know why I don't get much mail lately, and it's because I haven't sent much lately (working on remedying that!). Although I admit, it is a little stressful to send my well-meaning but not very impressive-looking missives when I know all of your correspondents are such good mail artists. Ahhh the pressure of expectation! Let's not force ourselves to all be mail artists, shall we? I think I'm not quite intentionally miming your writing here, so I must apologize at the end of this comment and go for a walk so I get back into my own head. Have a good mail day! Stephanie, I keep meaning to say this in a blog post of its own... maybe for one of those days when I don't have the time for photo editing. Anyway: letters don't have to be pretty! 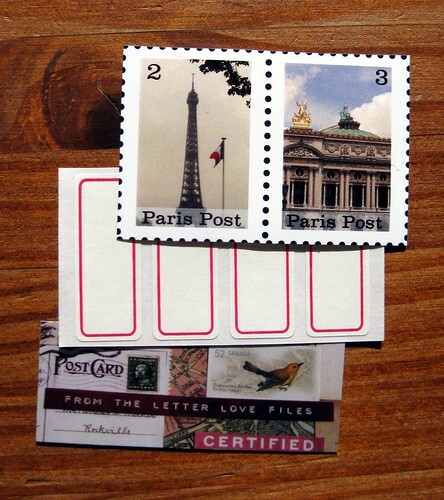 Just an honest, sincere letter on plain paper, in a plain envelope, with a plain stamp - that can be a great joy. I actually write a lot of those, I just don't bother photographing them for my blog. I probably write more plain letters than decorated ones, seriously... Please don't stress about the visual presentation of your correspondence! I'm much, much more interested in what you have to say. I'm definitely in the camp of "more interested in what people have to say than how they present it", and I guess I always have been, but I bet it's harder to write blogs about plain letters. Actually I bought two Rhodia pads today, one about 8.5"x11" and the other about 6"x8" so I can write more plain letters without worrying about the paper clogging up the pen! I think with this new purchase I'm going to start writing a lot more long letters and not worry about how it looks, since the writing is the most important to me. Yep, Stephanie, I just got your letter yesterday, actually! Reading that is what made me think I ought to do a whole separate blog post on the issue. I love Jennlui - I'm really glad you photographed this as I would never have been able to do it justice. yay!!! i'm so happy you enjoyed my little mail art surprise! and they have quite the large selection of mail art rubber stamps - now you can't say i didn't warn you, hee hee! wow.. this is amazing. I love being creative. this post is absolutely stunning on all levels. May I write to you? 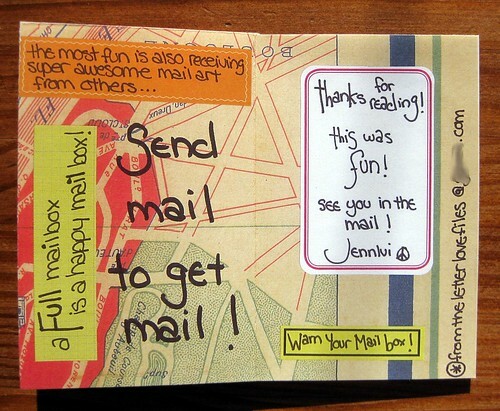 I think we will have a lot in common and if we dont then maybe we can be mail art friends. Hi PenPalWorld - I'm afraid I have more pen pals than I can even keep up with right now. I owe scores of letters to others, and just can't manage to take up another pen pal right now.